Are you trying to get pregnant or pregnant for the first time? 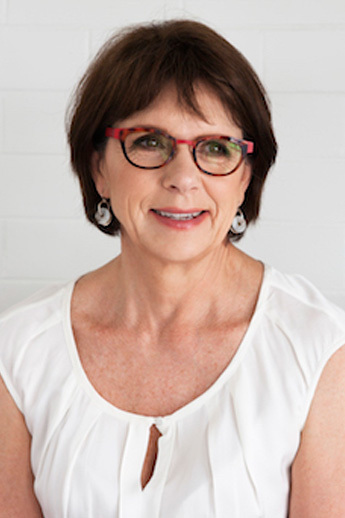 Having a Castlecrag Obstetrician you can trust like Dr Janet Vaughan makes all the difference. If you’re looking for a knowledgeable Castlecrag Obstetrician, you’re in luck! Obstetrics Plus is a full-service medical office providing private obstetrician care in Castlecrag and the surrounding suburbs. Dr. Janet Vaughan is an experienced obstetrician providing supportive and compassionate care to her patients. Her philosophy is to guide you through the entire pregnancy process, taking the time required to formulate a birth plan that’s right for you. Starting with a very thorough initial appointment that explores your complete medical history, she offers personalised healthcare. Her unique approach supports you to make the healthiest possible choices for your pregnancy and the delivery of a healthy baby. At Obstetrics Plus, we make things convenient for you by providing on-site ultrasounds and consultations. This means that you will never have to travel to a different office to see how your baby is doing. Also, the ultrasounds are reviewed and often performed by Dr. Vaughan herself, so you know you’re getting sound advice and information. Our exam and consult rooms project a warm and welcoming atmosphere. With a conveniently located office near Castlecrag, free parking nearby and on-site ultrasounds, there’s never been a better time to contact us. Call us on 02 9958 2100 or complete the online maternity registration form today. We are excited to meet you! If your baby bump is making a debut, congratulations! Do you find yourself worried about what to expect over the next nine months? We invite you to work with the caring team at Obstetrics Plus. Conveniently located in Willoughby, Dr. Janet Vaughan and her team provide high-risk obstetrician care in the surrounding suburb of Castlecrag. Also, we are located near bus routes, and there is free parking close to our offices. The reality of a high-risk pregnancy can involve danger and worry. Having a high-risk pregnancy obstetrician in Castlecrag can be crucial to a safe delivery. Also, being an informed patient and knowing what to expect, can help ease the stress of a first time or high-risk pregnancy. That’s why we offer prenatal childbirth classes covering topics such as labour, things to avoid during pregnancy, beneficial positions during delivery and possible procedures that you may experience. The internet can be an overwhelming place for sourcing information such regular heartburn or nutritional information. Don’t let the ‘what ifs’ of pregnancy overshadow the excitement of this special time. Get informed, and find a doctor you can trust. See how the caring approach of the team at Obstetrics Plus will make a difference in your pregnancy experience. With your wishes in mind, Castlecrag Obstetrician Dr. Vaughan and her team strive to adhere to your birth plan and support you to make choices for your situation.